25 Inch Long Black Beard and Moustache Set.Includes: One Black 25 inch Beard and Moustache Set.Available Size: One Size Fits Most Adults. *Hat, Glasses, Shirt and Pants Not Included.Complete your hillbilly or biker look in a flash with this exagerated 25 Inch Long Black Beard and Moustache Set. You'll be a hit at every costume party! Includes: One Black 25 inch Beard and Moustache Set. *Hat, Glasses, Shirt and Pants Not Included. 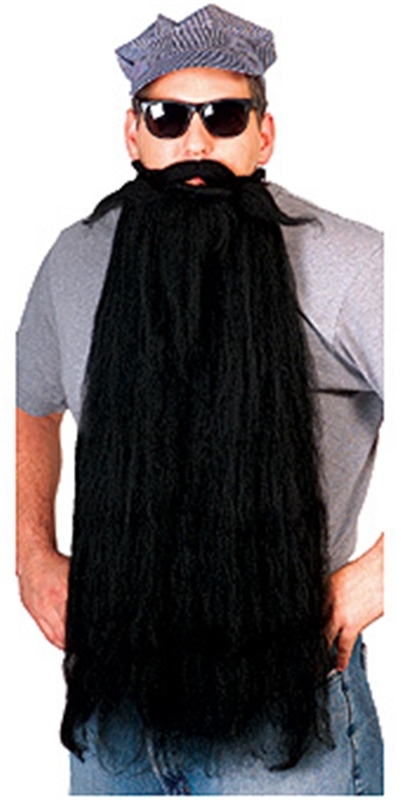 Complete your hillbilly or biker look in a flash with this exagerated 25 Inch Long Black Beard and Moustache Set. You'll be a hit at every costume party!